Thank you for choosing Ocean Moving and Storage for your relocation services. Customer has provided Ocean Moving and Storage description of items to be moved and services needed in order to provide door to door service and Ocean Moving and Storage has prepared this estimate based on the details we know now. Customer has selected a binding estimate. Total costs will not exceed the estimated cost; detailed in the articles list of pieces below, for an estimated volume described in the “Relocation Details” of this estimate. If there is a change in the size/description of articles, packing services, volume or labor services added at the origin or destination to those itemized in this estimate, the Customer may be charged for those services at rates uniform with our tariff. This estimate contains a complete description of all services included above and represents the entire current understanding of services ordered and supersedes all other negotiations, understandings and verbal representations (if any) made by the estimator or any company representative. Please inspect your list of items on this estimate. If you feel that it is incorrect or incomplete, please contact your moving consultant immediately. It is Customer’s responsibility to evaluate the accuracy and completeness of this estimate. Pick-up and delivery times and dates are mere estimates and subject to change. If you have made travel arrangements around your move dates, please designate a family member, friend or colleague to be present should any delay occur beyond our control. If you will not be present at the pick-up, please contact our office to request a Power of Attorney form to be filled out online. This document is a binding estimate and not a contract. The contract for moving services is the “Bill of Lading” which is entered into by you, the Shipper, and Ocean Moving and Storage, the Carrier, on move date. Disassembly and reassembly of standard furniture items disassembled by movers at pick-up (unusual or custom-built furniture, pressboard or particle board furniture excluded). Although some items may be disassembled at pick-up, certain items are not permitted to be reassembled at destination. Items that cannot be reassembled, under any circumstances, are (but not exclusively): cribs, bunk beds, exercise equipment, toys, particle board furniture and outdoor play sets. Additionally, no appliances will be installed or connected. Loading and unloading of all furniture, household goods, and boxes (first 75ft of loading/unloading at no additional charge). Standard Cargo Protection. Up to $10,000 based on $0.60/lb. per article. All taxes, tolls, fuel, fuel-surcharges and mileage. Quilted pads to cover your non-fragile furniture. 30 days free storage in a secured warehouse facility. Customer must request storage at time the reservation is prepared (restrictions apply). No charge for date changes made outside of three (3) days before first original pick-up date, subject to availability. 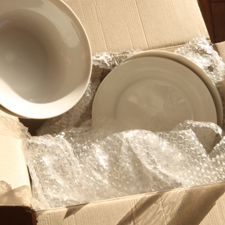 Packing of breakable items like Mirrors, TV’s, Glass, and/or Crating Services; Packing supplies such as boxes and mattress covers if not included in the original estimate. NOTE: Unless packing services are specified in the “Relocation Estimate” above, to avoid any additional packing charges, please have all books, clothes, dishes, mirrors, pictures, table lamps, items in drawers, TV’s and electronics packed in a box (not to exceed 75 lbs) and ready to transport. Shuttle fees: On Interstate moves an 18 wheeler may be used to deliver the property. Moving trucks must be able to safely and legally enter and exit the unloading area for delivery. Shipper may be required to pay for shuttle service if there is no access for moving trucks within 250 feet of the unloading area. This service includes rental fee for smaller truck and labor to transfer goods from carrier’s moving truck. Shuttle charges are based on load size at $1.00 per cubic foot (minimum $300.00) and subject to shuttle truck availability. Storage will be charged at $0.40/cubic foot for any additional 30 days,without proration ($100.00/month minimum). Storage fees are billable on the anniversary date of each month. Upon booking, 20% deposit is required to be paid by credit card. 50% of balance due at pick-up by Cashiers Check, Postal Money Order, VISA, MASTERCARD or cash. Credit card payment is provided as an alternative payment option and subject to 3% processing fee. Carrier reserves the right to collect up to 70% of the balance prior to the goods leaving the origin state. Remaining balance due at delivery by Postal Money Order or cash prior to unloading the truck. If payment is not made in full at delivery prior to unloading, Carrier holds the right to place goods in storage until payment is made in full including storage and re-delivery fees. pound per article. This means that if a desk that weighs 100 lbs. were to sustain damage during the course of your relocation, the maximum carrier liability would be $60. 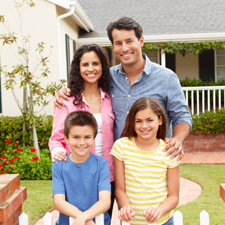 Basic Limited liability protection is included with every move. Distinct from the two options outlined above, it is also possible to procure an insurance policy for your move from a third party, such as: MovingInsurance.com or an insurer of your choice. Ocean Moving and Storage does not have any direct affiliation, nor does it endorse any particular insurance provider. Additional insurance must be purchased at least three business days before the moving date. We hope that you have a successful relocation. We take pride in making sure that all efforts are put forth to protect your personal belongings. In the unlikely event your goods are damaged or missing at delivery, or if you feel you have been over-charged or charged for services not rendered, please contact our office immediately by phone/fax/email info@oceanmovingandstorage.com to advise of the missing or damaged items. Claims must be filed in writing or electronically within 9 months of delivery. Furniture manufactured from press board, particle board, and/or engineered wood (hereinafter called assembled furniture) is designed to ship in a box from the manufacturer in an unassembled condition. It is not constructed to withstand the normal stress of a move, once in the assembled condition. Most assembled furniture is not designed with the extra structural pieces that brace against movements that can cause damage, while being taken in and out of the residence. Additionally, assembled furniture may not withstand the normal truck vibration, even in air-ride containers. Typically, chips or dents in assembled furniture are not repairable, and the surface can be easily marred with slight pressure. Some assembled furniture is put together with the hardware glued in place, and while this does not improve on the structural integrity of the piece, it does make it impossible to disassemble and thereby more susceptible to damage. When a shipper elects to ship any assembled furniture, as identified above, in no case shall the liability of the carrier exceed 60 cents per pound per article. Remember not to pack your moving documents and keep them with you throughout your move. Professional movers cannot transport anything that is flammable, corrosive, or explosive. These items can be dangerous to the movers as well as your property, and are illegal to transport. They include, but are not limited to: ammunition, gasoline, kerosene, propane tanks, fire extinquishers, car batteries, motor oil/antifreeze, paint, paint thinner, turpentine/solvents, pesticides/fertilizer/weed killer, aerosol, yard equipment containing fuel, pool chemicals, lighter fluid, fireworks, charcoal, lamp oil, bleach, cleaning products, or any kind of liquid. Do not pack any perishable items because they can become spoiled, unsanitary, attract insects and cause damage to your property. Live plants are illegal to transport by professional movers. Refrigerators must be defrosted and empty of all contents by shipper one day prior to loading. Unplug the unit to allow it to defrost and leave it open to air out and prevent growth of mold or foul odors. All appliances must be disconnected by the shipper prior to loading, including but not limited to refrigerators, washing machines, dryers, freezers, hot tubs, wall mounted TVs. Any outdoor furniture or items must be reasonably clean and not reflect any type of insect infestation. Review the moving dates of your Estimate. If they are not correct, you must contact our office immediately to update. You or your designated agent must be available for all pick up and delivery dates indicated on your estimate, until your shipment is delivered. If you have any questions or are not going to be available at any point during the dates indicated, you must contact our office immediately to avoid possible additional fees. Customer understands that deposits are non refundable for moves cancelled, reserved, or placed on hold within three (3) business days (Saturday, Sundays and Holidays not included) of the first estimated pick-up date, or if cancelled on pick-up date. Deposits will be 100% refundable with No Cancellation Fee or Additional Charges for moves cancelled outside three (3) business days (Saturday, Sundays and Holidays not included) prior to the first estimated pick-up date listed above (whichever applies). I understand that if I change my pick-up dates up closer than the original pick-up date, the cancellation policy applies to the new pick-up date. If pick-up date is changed to later date, the cancellation policy applies to the original pick-up date. All cancellation and refund requests must be sent in writing via e-mail to info@oceanmovingandstorage.com or Fax to: 954-894-9119. Cancellation requests sent to Ocean Moving and Storage after normal business hours (6:00 PM EST) will be considered received on the following day. Refunds can take 5-7 business days to reflect on your next statement. VERY IMPORTANT: Please inspect your list of items. If you feel that it is incorrect or incomplete, please contact your moving consultant immediately. If you are adding more items than what is in the list below, the cost for your move is subject to change. If you add more items when the movers arrive to render service, or if additional services is required, the Foreman will provide you with a Revised Written Estimate. 1. The quoted prices and terms are based on the information provided by Customer at the time the reservation was made. The items in the inventory have been calculated to an estimated volume or minimum used to determine the transportation requirements upon which your price is determined. Any changes to your inventory may result in different terms and prices, uniform with the Carrier’s tariff. If any additional items, services, packing of items, or labor are added or required at the origin or destination, then you may be charged for those services and/or items at full tariff rates. Carrier reserves the right to re-pack any item not correctly packed by the shipper (drawers must be empty). Movers are not to perform any plumbing, electrical connections or disconnections, or removal of items from walls. 2. Upon Carrier’s arriving, ready to render services agreed on original order, if Customer has more items or more services than what was on the original estimate and Customer does not allow Carrier to perform services, or refuses Carrier’s services that was originally signed and agreed upon by Customer, then Customer understands that he or she is forfeiting the deposit made for the services and that refunds under these circumstances will not be made. 3. In accordance with 49 CFR §317.113(c)(1), customer agrees to waive a physical survey of the household goods and alternatively agrees to receive a binding estimate based upon the customer’s provided accurate description of items list of property to be moved, and packing services to be rendered. 4. Based on the load size and distance of your move, delivery may take anywhere from 1-21 business days from the Customer’s first available delivery date. Estimated time of delivery is determined by many factors beyond the control of Ocean Moving and Storage such as traffic delays, weather delays, mechanical issues, other customers on the route and/or any acts of God. Estimated delivery spreads (business days): 0-500 miles up to 7 business days. 501-1000 miles: up to 14 business days. 1001-2000 miles: up to 16 business days. 2001-3000 miles: up to 21 business days. Goods may be warehoused before delivery. Deliveries are made on weekdays as well as weekends. Customer must be available for delivery from his or her first available delivery date until the goods arrive. Any situations on delivery such as, no delivery before or after a certain time, or no weekend delivery may cause your delivery schedule to go past the estimated time and may incur additional fees. The estimated delivery dates and estimated price listed herein is based on a flexible schedule as well as accessible conditions at both pickup & delivery locations. Change in Customer’s first available delivery date made by Customer while shipment is in transit may be subject to additional charges. 6. Summary of dispute settlement program: 49 CFR §375.211. A motor carrier must have a neutral arbitration program in place to provide shippers with an Arbitration alternative. Arbitration is optional and not required under Federal law. It is an alternative to going to court when you have a dispute with your carrier that cannot be resolved to your satisfaction. Arbitration does not use legal rules of evidence and is not conducted in a courtroom; it is designed to offer an alternative to the higher costs and longer process involved in filing a lawsuit and going to court. Before you can initiate the arbitration process you must exhaust your remedies through the carrier’s regular claims process and have received the carrier’s final offer to you. The arbitrator’s decision is legally binding on both parties and can be enforced in any court having jurisdiction over the dispute. The arbitrator may make any award it feels is just and appropriate as concerns the agreement between the shipper and carrier. The award may not exceed the mover’s liability under the bill of lading, or in the case of disputed charges, the total amount of disputed additional charges. Each party is responsible for 50% of the costs associated with securing the arbitrator. There is a $250 filing fee for each party and a supplement charge of $50 administrative fee. All arbitrations are required to be conducted by a neutral third party arbitrator; Conflict Resolution Services, Inc. To submit a matter to arbitration, please contact Ocean Moving and Storage at info@oceanmovingandstorage.com or the arbitration administrator to begin the process: MovingAID.net (Networld Enterprises Inc) 1755 NE 162nd St, North Miami Beach FL 33162 800-675-5065 Email: Contact@MovingAID.net. The arbitration administrator is not the neutral arbitrator and not affiliated with the arbitration service provider or the neutral arbitrator. The arbitration administrator is the motor carrier representative who will collect the information and liaison with the arbitration service provider. 7. Venue, controlling law, and jurisdiction in legal proceedings filed as a result of a dispute arising out of this Agreement shall and must only be brought in the State of Florida, Broward County. 8. Shipper will be subject to all applicable laws and the general terms and conditions of the carrier, which shall include, without limitation, a requirement that payment in full of all charges is due before unloading of the goods in accordance with the carrier’s lawful lien on the property. 9. This estimate contains a complete description of all services included and represents the entire current understanding of services ordered and supersedes all other negotiations, understandings and verbal representations (if any) made by the estimator or any company representative. In the event of any conflict between the terms of any estimate and the Bill of Lading, the terms of the Bill of Lading shall control. This Agreement may not be amended, supplemented or waived orally, but only in writing signed by both Ocean Moving and Storage and you.